Headquarter, Central Bank of Nigeria, Abuja, Nigeria. (VON) The Central Bank of Nigeria has extended the cashless policy on withdrawals and deposits to 30 more states across the federation. This resolution was taken at the Bankers’ Committee 493rd meeting held on Tuesday. A circular issued at the end of the meeting, noted that charges on deposits and withdrawals had been reintroduced. According to the circular, an individual who deposits or withdraws less than N500, 000 would not be charged. However, any deposit above N500, 000 attracts 1.5% charge, while withdrawals attracts 2%. The circular further added that withdrawals above N1m attract 3% charges; deposits above same amount attract 2% charges, while activities above N5m attract 3% and 7.5% respectively. Similarly, any corporate body that deposits less than N3m would not be charged but withdrawals and deposits above N3m to N40m attract 2% – 10% charges respectively. According to the circular signed by Dipo Fatokun, Director, Banking and Payments System Department, the charges would take effect from April 1, 2017 in the existing cashless state, including Lagos, Ogun, Kano, Abia, Anambra, River and Abuja. “The policy shall be implemented with the charges taking effect on May 1, 2017 ‎in the following state: Bauchi, Bayelsa, Delta, Enugu, Gombe, Imo, Kaduna, Ondo, Osun and Platuea. The state further added that the policy would also take effect in Borno, Benue, Ekiti, Cross River, Kebbi, Kogi, Yobe, Sokoto and Zamfara States from October 1, 2017. 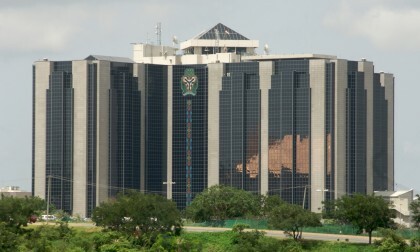 Fatokun added that the income generated from fees would be shared between the CBN and the banks in the ratio of 40:60. “All banks are to ensure that their cashless teams in the affected states liaise properly with the cashless office in the CBN for necessary and further assistance, if required,” the circular added.